Hello there! I hope you have had a good weekend and not been too affected by any snow coming your way. Today I’m popping in quickly today to share this mini journal that I made just before Christmas. I love making journals, notepads and albums when I get the chance and this one is special as I used papers and embellishments that I had sent to me in a pocket letter by my friend Nicole a few months back (thanks again Nicole!) I still have enough left for other projects too! 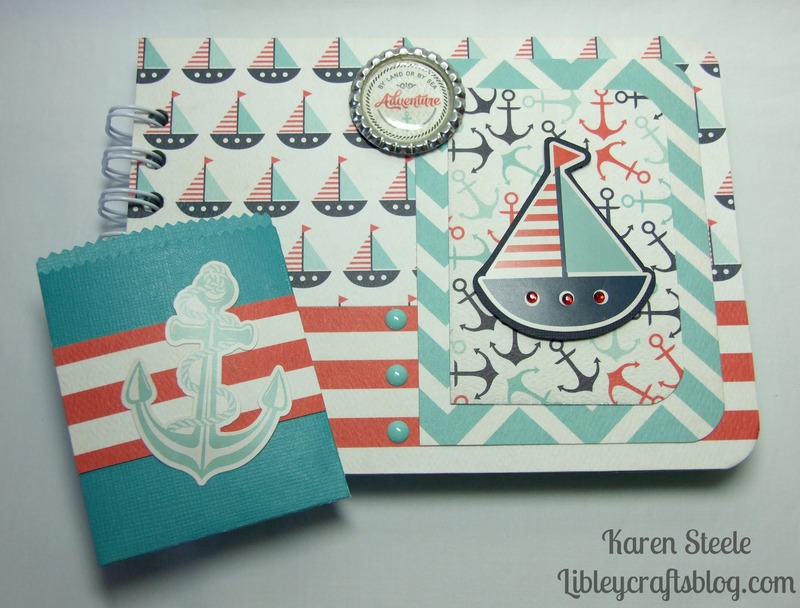 I love the nautical theme and especially these colours together – red, navy and this gorgeous lighter blue. When I make a journal I usually include a couple of envelope pages to store bits and pieces in but I didn’t have time to do that here so I just made a sweet little bag using a Paper Smooches Deco Bag Die that I’ll probably stick inside the front or back cover. I also used: WRMK The Cinch, WRMK Corner Chomper, Chipboard, Paper Smooches Deco Bag Die. Papers are Carta Bella – Ahoy There, and all stickers and embellishments were sent in my Pocket Letter. This is beautiful, Karen! I love those papers and the colors are amazing!! Fantastic!! What a fun project Karen!! This is great! 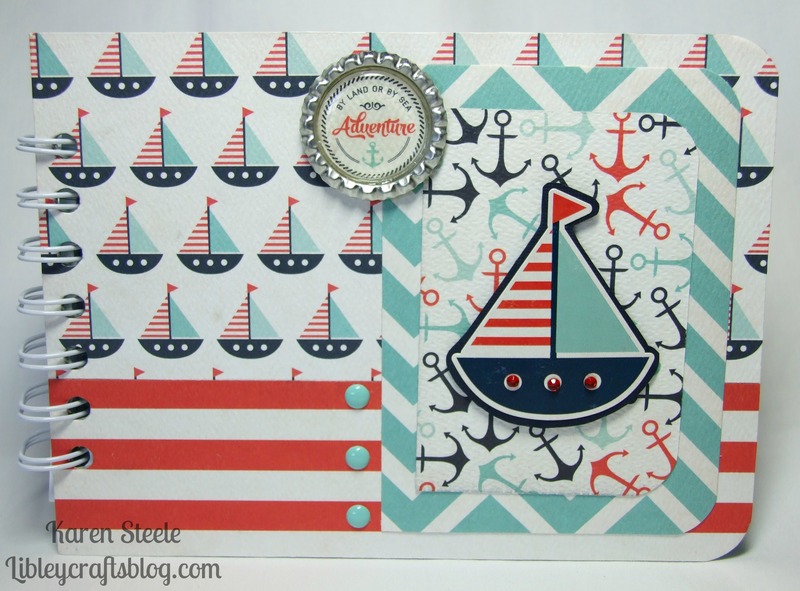 Looks awesome, love the nautical theme! I’ve never made my own album, but I really like the idea. And you put goodies received to good use on this project, and nautical projects are a favorite of mine.